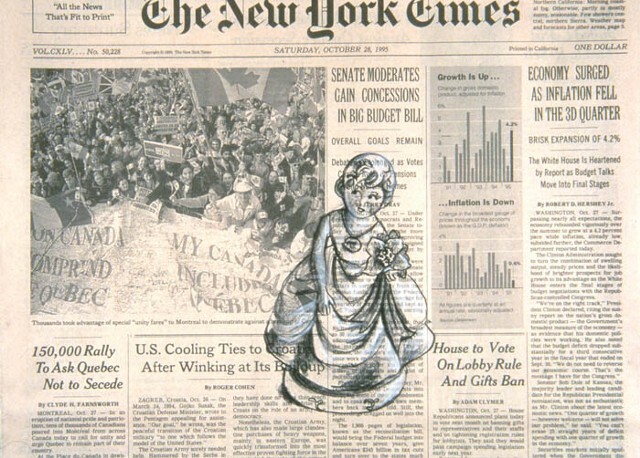 Each day for a year I did a drawing in black and white charcoal on the front page of the New York Times. I would sit down with the paper each day and draw what I saw around me. Intimate and personal scenes intersect with the headlines and stories of that day's news. I wanted to see what the quotidian routine of describing my life within the context of a historic document might add up to.